There is a four-room bath of "Hokuto Shichisei", "Meteor Shower", "Galaxy", "Milky Way" which imaged the four springs spreading in the heavens in the Tenku Yubo (Family Bath) on the Seikaiso's top floor of the Seikaiso's top floor. Entrance and bath are independent of each other, so it will be private while bathing so you can have a relaxing and private time. 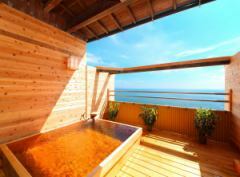 Spend the blissful time surrounded by the sky and the sea with the Tema Tosa Hinoki, plenty of use, and the Kyushu unique hinoki craftsman craftsmen put together with Takehisa. 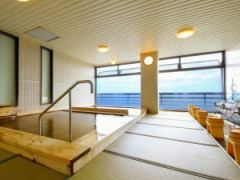 ※ Advance reservation by telephone of private bath is absolutely not accepted.Please ask at the time of visit. 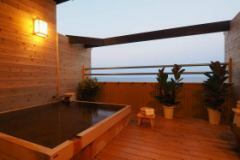 【Observatory Bath】A healing bath that spreads waterproof tatami and uses plenty of cypress in the whole bathtub. 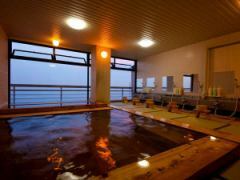 This time, we have renewed Seikaiso public bath in man Yoo woman hot water both. It is a bathtub that uses plenty of cypress. 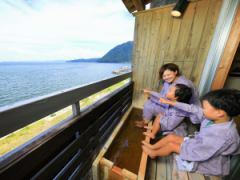 And public baths a little of Me fever, there is a Ne-yu (Neyu) of lukewarm the Beppu Bay lying views. 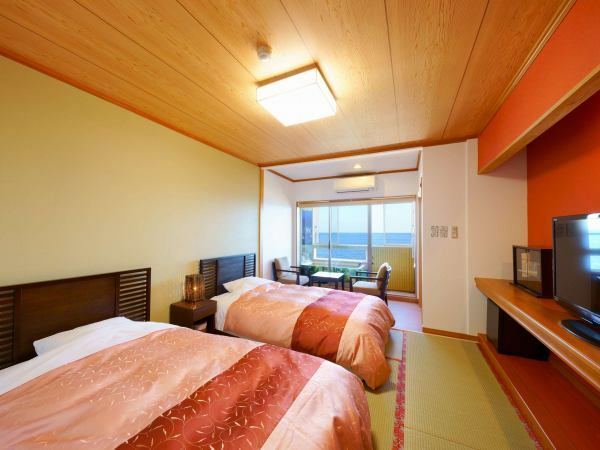 I hope you enjoy the scent of hinoki.Also, we have renewed tatami around the bath tub that we have received well. Since Tubayu has a structure that is hard to slip, it is safe to use it for young people from small children. Please also use this opportunity as we also accept the use of drop-by boiled water (12 o'clock to 17 o'clock). 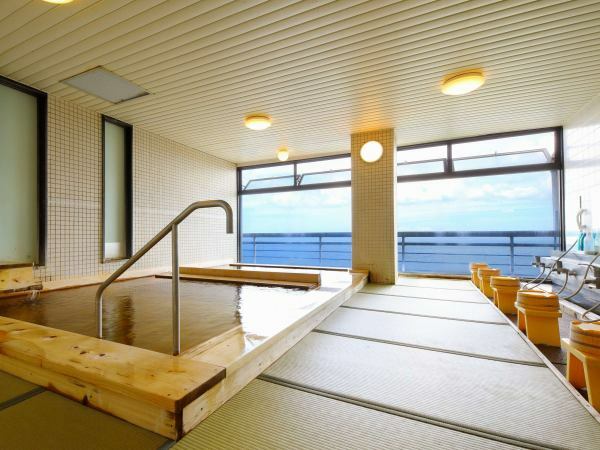 A healing bath that spreads waterproof tatami and uses plenty of cypress in the whole bathtub.If you like hot water, Tsukari-yu water, if you like lukewarm hot water lie down in the Ne-yu water and relax and please heal your body. 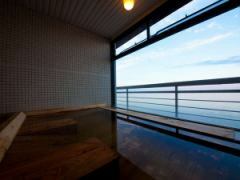 The morning bath while watching the rising sunrise in Beppu Bay is a magnificent view. ○It is free and put in all night till 9:30 in the morning. In a Japanese style room with a popular sea side footbath, you can enjoy footbath while watching the sea. Time spent relaxing while looking at the sea by immersing in foot bath, heals heart and body. 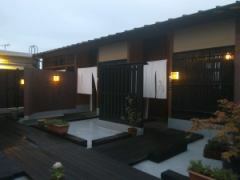 It is exclusive for guests staying in a Japanese-style room with a foot bath.You can not use it as a stop-by hot water. Seikaiso, The first "Japanese style room with open-air bath"
The best luxury that you can see Beppu Bay while soaking in hot springs!